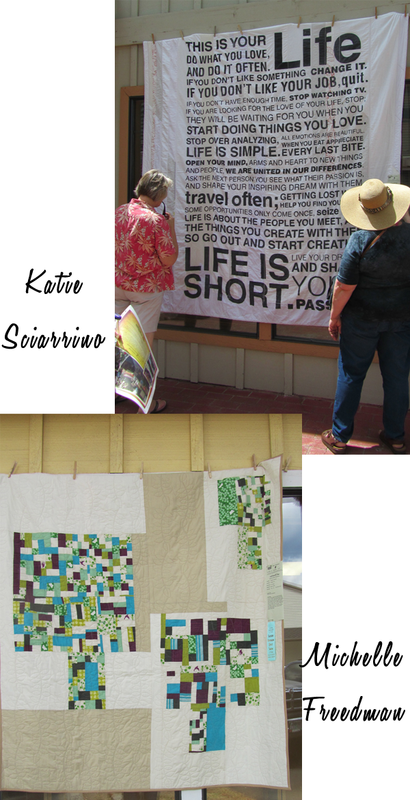 Were you able to make it to Sisters last weekend for the annual outdoor quilt show? 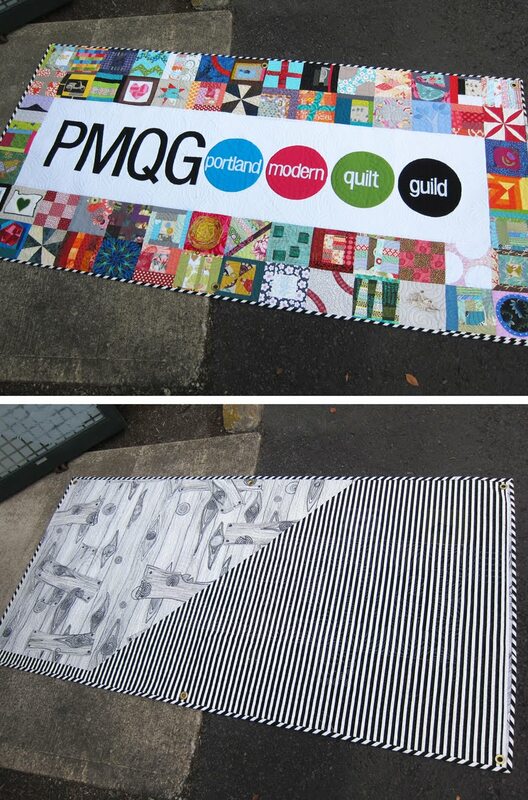 PMQG was there with 16 quilts! 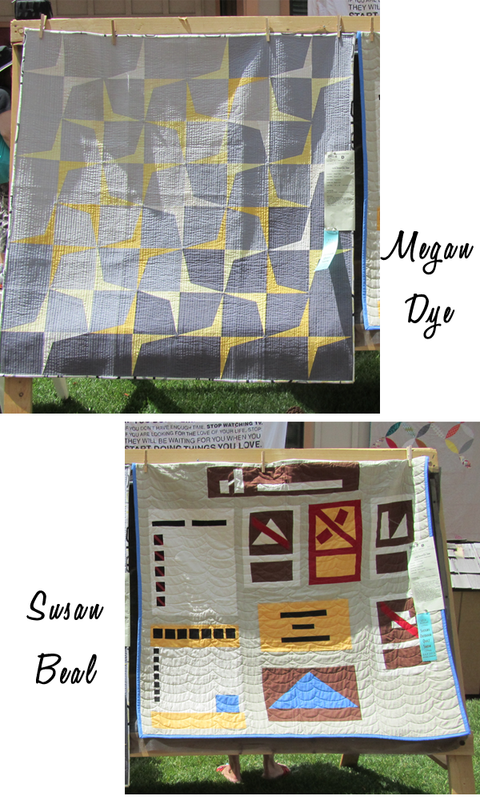 It was really fun to have our modern exhibit among all the other types of beautiful quilts at the show. Thanks to everyone who had a quilt in our exhibit this year! It's not too early to start thinking about what you might like to submit for next year! PLEASE WAIT to register online with Sisters until we have chosen all the quilts that will be part of the exhibit ~ you will register between APRIL 15 - APRIL 30, 2013! 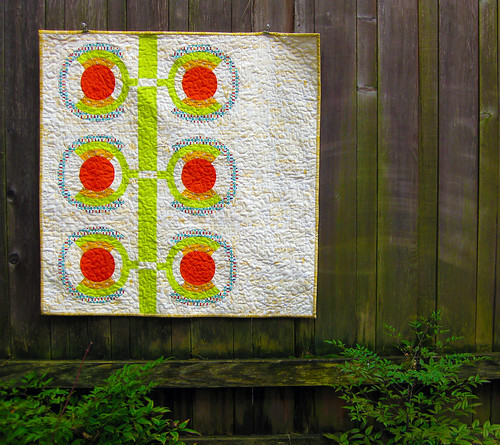 Starting now, PMQG 2013 Paid Members can submit their quilt(s) to be juried to be a part of the PMQG Special Exhibit. 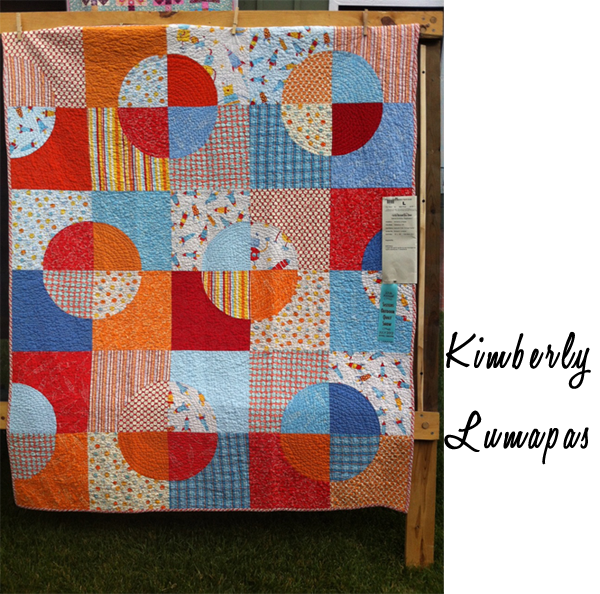 Photos of Quilt Tops can be entered in lieu of a finished quilt. You will be notified by April 15th whether or not your quilt was chosen for the PMQG Special Exhibit. If chosen for our special exhibit, register between APRIL 15 - APRIL 30, 2013. 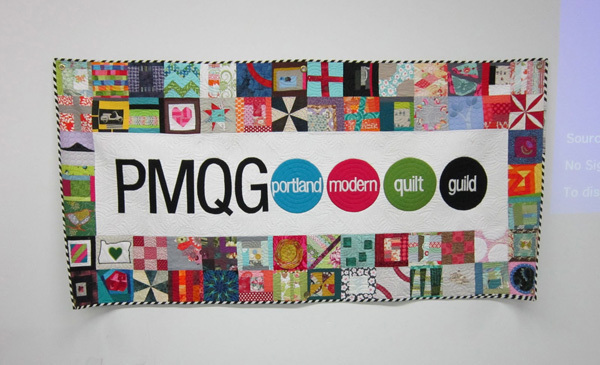 When registering, please select "Portland Modern Guild"
**If NOT chosen for the PMQG Special Exhibit, you can still enter the Sisters Outdoor Quilt Show. They accept up to 1,400 quilts, so while we may not have space in our section, it would be super amazing to see a smattering of PMQG member quilts all over Sisters! When registering, please select "General Category"
The day started without a cloud in the sky for the 37th Annual Sisters Outdoor Quilt Show and there was a big turn out. The Portland Modern Quilt Guild was invited to have a Special Exhibit for the 2nd year in a row and here are our quilts. 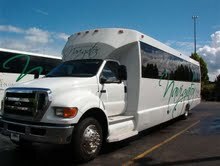 We were also fortunate to meet up with the Eugene Modern Quilt Guild and the Central Oregon Modern Quilt Guild. There was a great turn out and we all cooled off with some watermelon and snacks. It seems like we were too busy socializing to take photos which really is a good sign. Then for the first time in 37 years the show was rained out. The volunteers for the show got down over 1200 quilts in a remarkably short amount of time with what I hear was a minimal 10-20 quilts getting wet. Susan and I were on duty and with the help of fellow members got the 30 or so quilts in our zone safely out of the rain just in time for a torrential downpour. Thank you to our member volunteers that helped throughout the day and during the rain. Cris Pera, Jen Carlton-Bailly, Amber Wilson, Rachel Kerley, Kimberley Lumapas, Heather Davidson, Susan Beal, Gail Weiss, Michelle Freedman, Jill Collins, Jolene Knight, Michelle Marcus Boyer, and Marcia Mersky. This Saturday is the 37th Annual Sisters Outdoor Quilt Show! We are so excited to be representing PMQG with our special exhibit. Many of us are making the trek to Sisters and we hope to see you there! 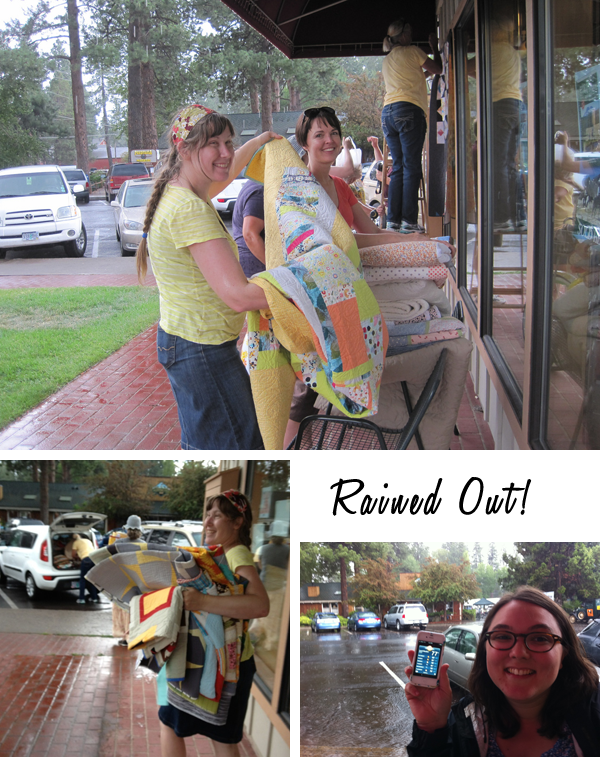 In addition to seeing over 1300 quilts, we also get the joy of meeting other modern quilters! I know I'm really looking forward to seeing all of the incredible quilts and enjoying time with some friends. Hope to see you there! Send us your Sisters quilt entries! Hey everyone, just a quick reminder that this coming Sunday (April 29) at midnight is the deadline to submit your entries for our special quilt exhibit at Sisters! All the details are right over here. You don't have to have a finished quilt yet... a sketch or in-progress photo is just fine. We need to collect and ship them in June, so you'll have more time to work - just make sure you enter by Sunday night! We can't wait to see this year's PMQG Special Exhibit that the panel curates! Thanks to the Sisters Outdoor Quilt Show for inviting us back, and to all the guild members who have entered quilts. Check out some of the submissions so far in the flickr pool! 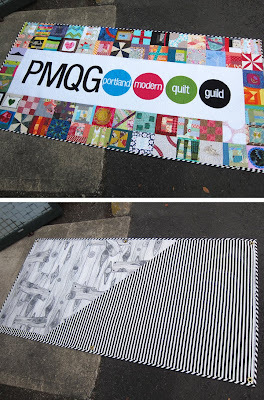 PS: If you don't have your own photo of a quilt you've shown at a PMQG Show & Tell, feel free to link back to one of our meeting recap posts to use one of our shots! New Sisters Info Page for You! 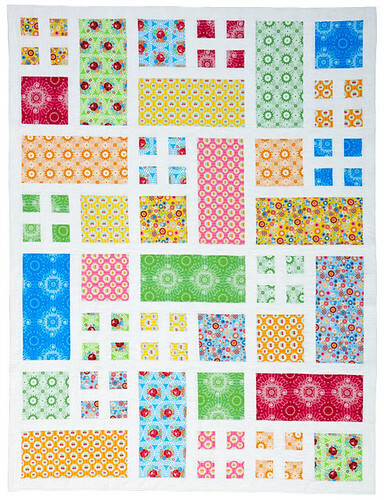 We just wanted to point out the new Sisters Outdoor Quilt Festive page that has been added to our site. It's right up there on the right. This has all the info we went over during this month's guild meeting. 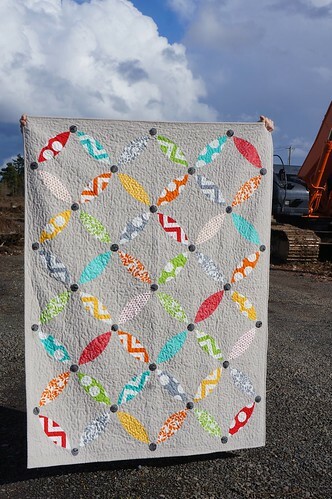 If you are interested in entering a quilt in our Portland Modern Quilt Guild special exhibit it should hold all of the answers and if you have any questions we're happy to help! Not sure if you want to enter? You can do it I know you can!! We are excited to be invited back to have a special exhibit at the Sisters Outdoor Quilt Show this year! The show is Saturday July 14th from 9:30 to 5:00 and there are lots of events surrounding the show if you are interested. 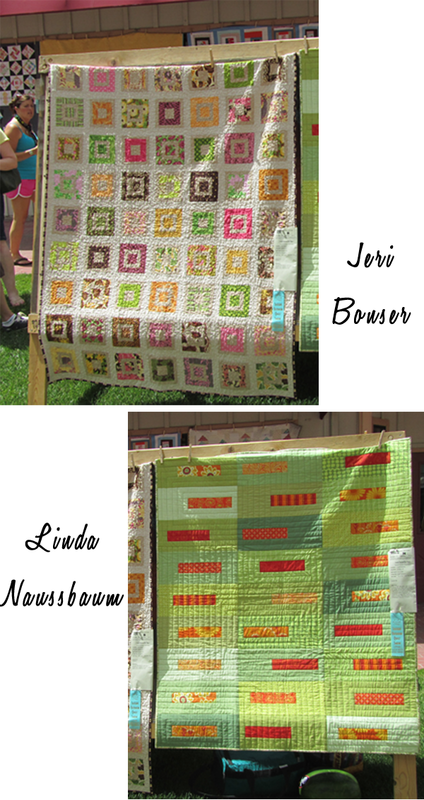 We have had so many beautiful quilts at show and tell lately I know we will have no shortage of entrants. Email a photo to portlandmodernquiltguild@gmail.com by April 29th. Make sure to include your full name and contact info, and the dimensions of the quilt. You can also bring your quilt to the meeting this month and we can take a photo for you. The deadline is approaching soon so quilt tops or sketches of work in progress will be accepted. All submitted quilts will be reviewed by a panel consisting of one board member and 2 guild members; Gail Weiss and Michelle Freedman. Quilts will be selected to represent our guild and the modern quilt movement. 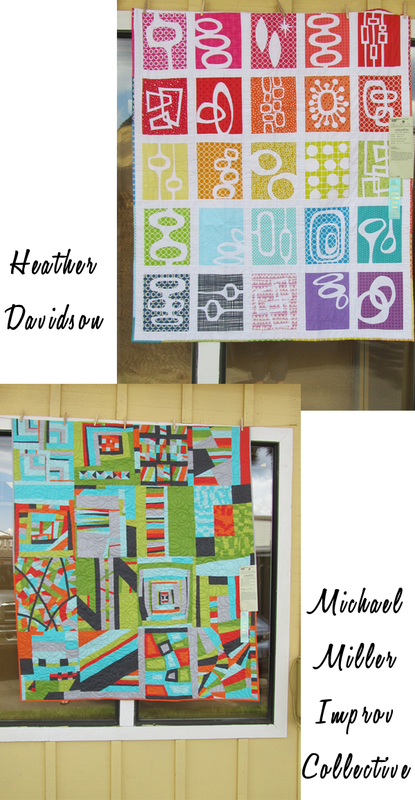 Here is some great info about what is modern quilting from the Modern Quilt Guild. Once we have the group of quilts chosen to be in the show you will be notified and then must register your quilts for the show through the Sisters Outdoor Quilt Show website by May 1st. Registration is $5 a person. We will collect quilts at the June meeting to ship to Sisters. Quilts are due to arrive in Sisters for the show between June 29th and July 7th if you want to arrange your own delivery. Quilts must be at least 36" x 36" and no bigger then 104" in width or length. If a quilt will be for sale a photo must be sent in with your registration. A quilt is two layers of fabric with a filling that is stitched together with lines or a pattern. Quilting may be done by hand or machine. Tied quilts do not meet the definition of a quilt for this show. “Raggy” quilts and quilts made from predominantly preprinted panels are not accepted. We do not accept raffle quilts from other groups. Quilts do not need to have a sleeve for our show. A fabric label sewn to the back of each quilt is required.The quilt name and exhibitor’s name on the label should match the information on your registration form. We will be sharing photos from last years exhibit and talking more about the event and quilt labels at the next meeting. Check out flickr to see photos before then. Every year I tell myself that I'm going to go to Sisters for the quilt show and every year I don't make plans. This year, with PMQG being part of a special exhibit I knew I had to get myself there, so I bought a bus ticket from Fabric Depot (and saw two fellow members, though they ended up on the other bus). 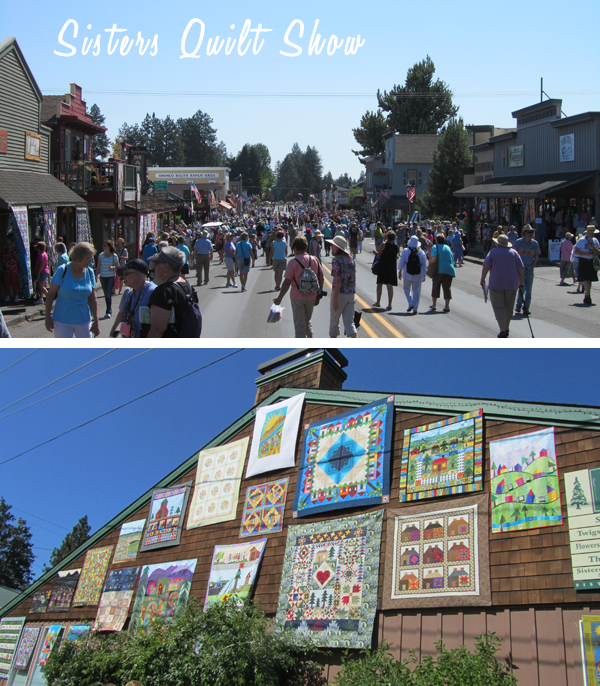 So this was my first time attending Sisters Outdoor Quilt Show and while I thought I knew what to expect, quilts hung all over the buildings in town, I was not prepared for the amazing site of a town covered in quilts. Not only were there quilts all over outside, but there were quilts all over inside the shops too. And lots of people, there is just no getting around standing in line for things during the show, but lines go quickly and there is almost always a quilt or three to view while you wait. I brought my water battle and a few snacks, but it wasn't actually necessary since there were enterprising kids selling water bottles all over town (I heard it was some sort of fundraiser too), multiple stands with kettle corn and other treats. We lucked out with a beautiful day, bright sun, light breezes and the temps only reaching the low 80's (I've heard it is often a good 10 degrees warmer this time of year). When I arrived in town, show hosts/volunteers were handing out Sisters, a newspaper magazine devoted to the show which included a map, a list of the special exhibits and an article on us, Portland Modern Quilt Guild, (it's on page 26). I spent my first two hours just wandering around town, taking in all to see along Cascade Ave (which is closed to cars for the day), stopping into the packed The Stitchin' Post, stopping by the tree exhibit and occasionally admiring the mountains. Around noon I found our guild's exhibit, and what a great location, a nice grassy spot between two buildings we even had a few chairs, some shade and a nice breeze. Lots of people were milling about and Cherri (one of our members who volunteered their time to host our exhibit) told me we were getting a lot of positive feedback. And I finally get to see the PMQG quilts sent to Sisters, some I had seen before during previous meeting's show and tells, some I had never seen before and they all looked awesome. After taking a nice little break at our cozy exhibit, I started wandering the town some more. I found Cherri's quilt in the general show (thanks to a hint from Jill who spotted it earlier) and just enjoyed the day. PMQG gives a big thank you to Jen for organizing our participation in Sisters Outdoor Quilt show; to our members who volunteered to spend part of their day hosting our exhibit; to Katie for a great job on our banner; and Nancy for quilting our banner (you must check it out at the upcoming picnic). Remember to create your 6" block (includes a 1/4" seam allowance, finished size will be 5.5"). Any block pattern made out of any fabrics you desire (seriously, we want an eclectic mix). Below is a sketch of how it will come together (border checkered only to distinguish blocks). Bring your blocks to the May 19 meeting—that's next Thursday! Everyone is welcome! 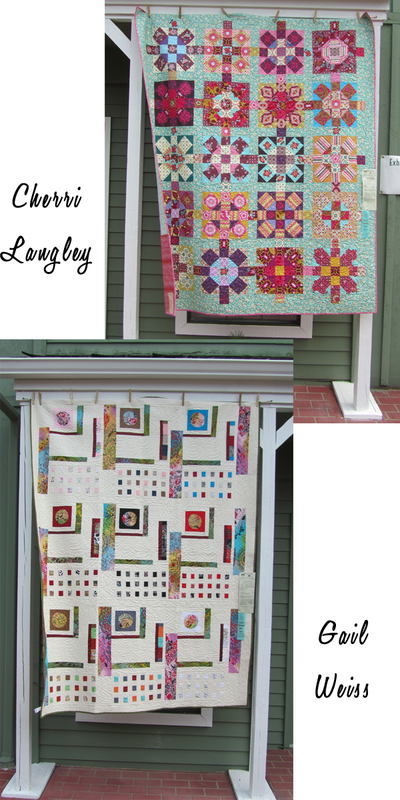 Visit Cherri's new quilting space… full of sewing wonderfulness. Cookies and milk and a comfy chair just for you! Free parking in the covered garage or on the street. Enter the building throughout the garage. Sign on the double doors inside the garage will direct you to our space. The San Jose Museum of Quilts & Textiles is planning an exhibition focusing on both historical and contemporary examples of scrap textile art, and they are seeking excellent examples of scrappy quilts and other forms of scrap textile art to be considered for their exhibition. The exhibition will highlight examples from the Museum collection of historical scrappy quilts as well as document current trends in re-purposing of materials in the textile arts. They are reaching out to you, their supporters and community, to inquire if there are quilts you would like to share with them for consideration of loan or donation towards this exhibition. Historical pieces, quilts with an eclectic flair, textile art that features wide-ranging combinations of color and materials, and contemporary textile art that transcends the historical trend to include innovative re-purposing of recycled materials are especially desired. An image of the object can be sent by email as a Jpeg. Please send an overall and a detail as well as any information on the history or artist. Put "Scrap Art" in subject of email. At time of posting we are unable to determine deadline for submissions. Please email Deborah or Joyce if you are interested. Hi everyone. We have had a great turn out for the Sister Quilt Show. There are 15 people that will be showing. If we can, some of those people may even be showing two! It's so great that we can gather together and have a big presences there! 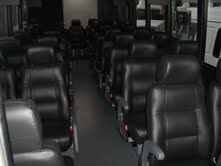 We have extended the entry date to Monday 1-31-11. If you would like a chance for your quilt to be entered into the show, please email me at jencarltonbailly at gmail dot com. Selected quilts must be finished and images submitted no later than February 27th. Yes, the quilt show is not until July, however, programs will be made in March/April! The following people have already been chosen to show their quilt(s). Congratulations to everyone! Hi everyone, thanks for being patient as I gather information for you on the Sisters Quilt show. 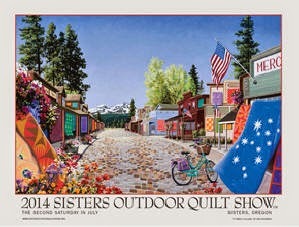 For those of you who are not familiar with the Sisters Outdoor Quilt Festival, please visit their site! 1. The quilt must be at least 36 inches square, not to exceed 104"
4. 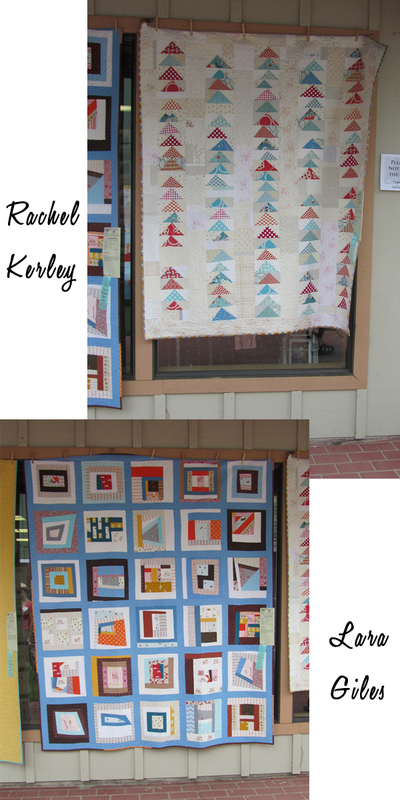 Photos and a description of the quilt you'd like to enter are due by the third week of Feb. I'll have more information at the beginning of the year when they have the form published. I need to know if you plan on entering ASAP. 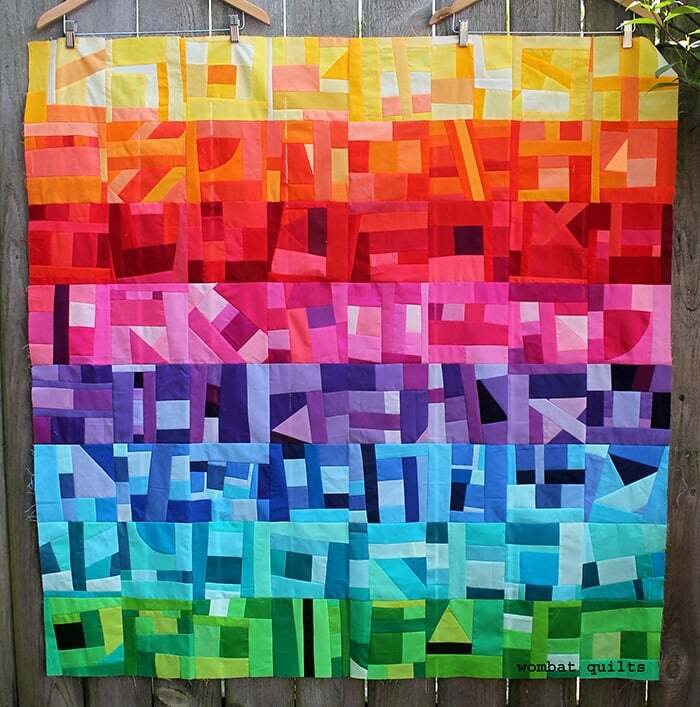 If there are not at least 10-12 entries, I will open it up nationally to The Modern Quilt Guild by the second week of January! You don't need to be done by this date, I just need to know that you plan on entering. Keep in mind that this is a Modern quilt exhibit. I would ask that you reflect about what that means to you and how you translate that into your quilts. I'd also suggest reading through this post about "What Modern Quilting Means to You". We will need at least eight volunteers to be able to speak to modern quilting and answer any questions people have during the show. Please let me know if you are interested in this as well. The next step is to email me at jencarltonbailly at gmail dot com letting me know if you are interested. If you have a photo of the quilt you would like to enter please send that as well. Also please email with any questions I have not answered in this post. Note however that response times may be delayed a few days due to the holidays! Thanks everyone-I think this is an amazing opportunity for us as modern quilters!